Author Information: Raphael Sassower, University of Colorado, Colorado Springs, rsasswe@uccs.edu. Sassower, Raphael. “Post-Truths and Inconvenient Facts.” Social Epistemology Review and Reply Collective 7, no. 8 (2018): 47-60. Can one truly refuse to believe facts? If nothing else, Steve Fuller has his ear to the pulse of popular culture and the academics who engage in its twists and turns. Starting with Brexit and continuing into the Trump-era abyss, “post-truth” was dubbed by the OED as its word of the year in 2016. 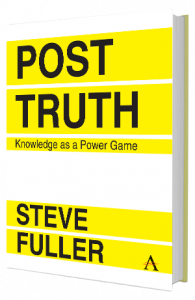 Fuller has mustered his collected publications to recast the debate over post-truth and frame it within STS in general and his own contributions to social epistemology in particular. This could have been a public mea culpa of sorts: we, the community of sociologists (and some straggling philosophers and anthropologists and perhaps some poststructuralists) may seem to someone who isn’t reading our critiques carefully to be partially responsible for legitimating the dismissal of empirical data, evidence-based statements, and the means by which scientific claims can be deemed not only credible but true. Instead, we are dazzled by a range of topics (historically anchored) that explain how we got to Brexit and Trump—yet Fuller’s analyses of them don’t ring alarm bells. There is almost a hidden glee that indeed the privileged scientific establishment, insular scientific discourse, and some of its experts who pontificate authoritative consensus claims are all bound to be undone by the rebellion of mavericks and iconoclasts that include intelligent design promoters and neoliberal freedom fighters. In what follows, I do not intend to summarize the book, as it is short and entertaining enough for anyone to read on their own. Instead, I wish to outline three interrelated points that one might argue need not be argued but, apparently, do: 1) certain critiques of science have contributed to the Trumpist mindset; 2) the politics of Trumpism is too dangerous to be sanguine about; 3) the post-truth condition is troublesome and insidious. Though Fuller deals with some of these issues, I hope to add some constructive clarification to them. As Theodor Adorno reminds us, critique is essential not only for philosophy, but also for democracy. He is aware that the “critic becomes a divisive influence, with a totalitarian phrase, a subversive” (1998/1963, 283) insofar as the status quo is being challenged and sacred political institutions might have to change. The price of critique, then, can be high, and therefore critique should be managed carefully and only cautiously deployed. Should we refrain from critique, then? Not at all, continues Adorno. In a political setting, the charge of irresponsible critique shuts the conversation down and ensures political hegemony without disruptions. Modifying Adorno’s distinction between (politically) responsible and irresponsible critiques, responsible scientific critiques are constructive insofar as they attempt to improve methods of inquiry, data collection and analysis, and contribute to the accumulated knowledge of a community; irresponsible scientific critiques are those whose goal is to undermine the very quest for objective knowledge and the means by which such knowledge can be ascertained. Questions about the legitimacy of scientific authority are related to but not of exclusive importance for these critiques. Have those of us committed to the critique of science missed the mark of the distinction between responsible and irresponsible critiques? Have we become so subversive and perhaps self-righteous that science itself has been threatened? Though Fuller is primarily concerned with the hegemony of the sociology of science studies and the movement he has championed under the banner of “social epistemology” since the 1980s, he does acknowledge the Popperians and their critique of scientific progress and even admires the Popperian contribution to the scientific enterprise. But he is reluctant to recognize the contributions of Marxists, poststructuralists, and postmodernists who have been critically engaging the power of science since the 19th century. Among them, we find Jean-François Lyotard who, in The Postmodern Condition (1984/1979), follows Marxists and neo-Marxists who have regularly lumped science and scientific discourse with capitalism and power. This critical trajectory has been well rehearsed, so suffice it here to say, SSK, SE, and the Edinburgh “Strong Programme” are part of a long and rich critical tradition (whose origins are Marxist). Adorno’s Frankfurt School is part of this tradition, and as we think about science, which had come to dominate Western culture by the 20th century (in the place of religion, whose power had by then waned as the arbiter of truth), it was its privileged power and interlocking financial benefits that drew the ire of critics. Were these critics “responsible” in Adorno’s political sense? Can they be held accountable for offering (scientific and not political) critiques that improve the scientific process of adjudication between criteria of empirical validity and logical consistency? Not always. Did they realize that their success could throw the baby out with the bathwater? Not always. While Fuller grants Karl Popper the upper hand (as compared to Thomas Kuhn) when indirectly addressing such questions, we must keep an eye on Fuller’s “baby.” It’s easy to overlook the slippage from the political to the scientific and vice versa: Popper’s claim that we never know the Truth doesn’t mean that his (and our) quest for discovering the Truth as such is given up, it’s only made more difficult as whatever is scientifically apprehended as truth remains putative. What is precious about the baby—science in general, and scientific discourse and its community in more particular ways—is that it offered safeguards against frivolous skepticism. Robert Merton (1973/1942) famously outlined the four features of the scientific ethos, principles that characterized the ideal workings of the scientific community: universalism, communism (communalism, as per the Cold War terror), disinterestedness, and organized skepticism. It is the last principle that is relevant here, since it unequivocally demands an institutionalized mindset of putative acceptance of any hypothesis or theory that is articulated by any community member. Expecting changes in the model does not entail a) that no improved model can be offered; b) that methodological changes in themselves are a bad thing (they might be, rather, improvements); or c) that one should not take action at all based on the current model because in the future the model might change. The Royal Society of London (1660) set the benchmark of scientific credibility low when it accepted as scientific evidence any report by two independent witnesses. As the years went by, testability (“confirmation,” for the Vienna Circle, “falsification,” for Popper) and repeatability were added as requirements for a report to be considered scientific, and by now, various other conditions have been proposed. Skepticism, organized or personal, remains at the very heart of the scientific march towards certainty (or at least high probability), but when used perniciously, it has derailed reasonable attempts to use science as a means by which to protect, for example, public health. Both Michael Bowker (2003) and Robert Proctor (1995) chronicle cases where asbestos and cigarette lobbyists and lawyers alike were able to sow enough doubt in the name of attenuated scientific data collection to ward off regulators, legislators, and the courts for decades. Instead of finding sufficient empirical evidence to attribute asbestos and nicotine to the failing health condition (and death) of workers and consumers, “organized skepticism” was weaponized to fight the sick and protect the interests of large corporations and their insurers. Instead of buttressing scientific claims (that have passed the tests—in refereed professional conferences and publications, for example—of most institutional scientific skeptics), organized skepticism has been manipulated to ensure that no claim is ever scientific enough or has the legitimacy of the scientific community. In other words, what should have remained the reasonable cautionary tale of a disinterested and communal activity (that could then be deemed universally credible) has turned into a circus of fire-blowing clowns ready to burn down the tent. The public remains confused, not realizing that just because the stakes have risen over the decades does not mean there are no standards that ever can be met. Despite lobbyists’ and lawyers’ best efforts of derailment, courts have eventually found cigarette companies and asbestos manufacturers guilty of exposing workers and consumers to deathly hazards. This way of thinking—unmediated experiences and beliefs, unconfirmed observations, and disregard of others’ experiences and beliefs—continues what Richard Hofstadter (1962) dubbed “anti-intellectualism.” For Americans, this predates the republic and is characterized by a hostility towards the life of the mind (admittedly, at the time, religious texts), critical thinking (self-reflection and the rules of logic), and even literacy. The heart (our emotions) can more honestly lead us to the Promised Land, whether it is heaven on earth in the Americas or the Christian afterlife; any textual interference or reflective pondering is necessarily an impediment, one to be suspicious of and avoided. This lethal combination of the life of the heart and righteous individualism brings about general ignorance and what psychologists call “confirmation bias” (the view that we endorse what we already believe to be true regardless of countervailing evidence). The critique of science, along this trajectory, can be but one of many so-called critiques of anything said or proven by anyone whose ideology we do not endorse. But is this even critique? Adorno would find this a charade, a pretense that poses as a critique but in reality is a simple dismissal without intellectual engagement, a dogmatic refusal to listen and observe. He definitely would be horrified by Stephen Colbert’s oft-quoted quip on “truthiness” as “the conviction that what you feel to be true must be true.” Even those who resurrect Daniel Patrick Moynihan’s phrase, “You are entitled to your own opinion, but not to your own facts,” quietly admit that his admonishment is ignored by media more popular than informed. But surely there is merit to responsible critiques of science. Weren’t many of these critiques meant to dethrone the unparalleled authority claimed in the name of science, as Fuller admits all along? Wasn’t Lyotard (and Marx before him), for example, correct in pointing out the conflation of power and money in the scientific vortex that could legitimate whatever profit-maximizers desire? In other words, should scientific discourse be put on par with other discourses? Whose credibility ought to be challenged, and whose truth claims deserve scrutiny? Can we privilege or distinguish science if it is true, as Monya Baker has reported, that “[m]ore than 70% of researchers have tried and failed to reproduce another scientist’s experiments, and more than half have failed to reproduce their own experiments” (2016, 1)? Fuller remains silent about these important and responsible questions about the problematics (methodologically and financially) of reproducing scientific experiments. Baker’s report cites Nature‘s survey of 1,576 researchers and reveals “sometimes-contradictory attitudes towards reproducibility. Although 52% of those surveyed agree that there is a significant ‘crisis’ of reproducibility, less than 31% think that failure to reproduce published results means that the result is probably wrong, and most say that they still trust the published literature.” (Ibid.) So, if science relies on reproducibility as a cornerstone of its legitimacy (and superiority over other discourses), and if the results are so dismal, should it not be discredited? One answer, given by Hans E. Plesser, suggests that there is a confusion between the notions of repeatability (“same team, same experimental setup”), replicability (“different team, same experimental setup”), and reproducibility (“different team, different experimental setup”). If understood in these terms, it stands to reason that one may not get the same results all the time and that this fact alone does not discredit the scientific enterprise as a whole. Nuanced distinctions take us down a scientific rabbit-hole most post-truth advocates refuse to follow. These nuances are lost on a public that demands to know the “bottom line” in brief sound bites: Is science scientific enough, or is it bunk? When can we trust it? Trump excels at this kind of rhetorical device: repeat a falsehood often enough and people will believe it; and because individual critical faculties are not a prerequisite for citizenship, post-truth means no truth, or whatever the president says is true. Adorno’s distinction of the responsible from the irresponsible political critics comes into play here; but he innocently failed to anticipate the Trumpian move to conflate the political and scientific and pretend as if there is no distinction—methodologically and institutionally—between political and scientific discourses. With this cultural backdrop, many critiques of science have undermined its authority and thereby lent credence to any dismissal of science (legitimately by insiders and perhaps illegitimately at times by outsiders). Sociologists and postmodernists alike forgot to put warning signs on their academic and intellectual texts: Beware of hasty generalizations! Watch out for wolves in sheep clothes! Don’t throw the baby out with the bathwater! One would think such advisories unnecessary. Yet without such safeguards, internal disputes and critical investigations appear to have unintentionally discredited the entire scientific enterprise in the eyes of post-truth promoters, the Trumpists whose neoliberal spectacles filter in dollar signs and filter out pollution on the horizon. The discrediting of science has become a welcome distraction that opens the way to radical free-market mentality, spanning from the exploitation of free speech to resource extraction to the debasement of political institutions, from courts of law to unfettered globalization. In this sense, internal (responsible) critiques of the scientific community and its internal politics, for example, unfortunately license external (irresponsible) critiques of science, the kind that obscure the original intent of responsible critiques. Post-truth claims at the behest of corporate interests sanction a free for all where the concentrated power of the few silences the concerns of the many. 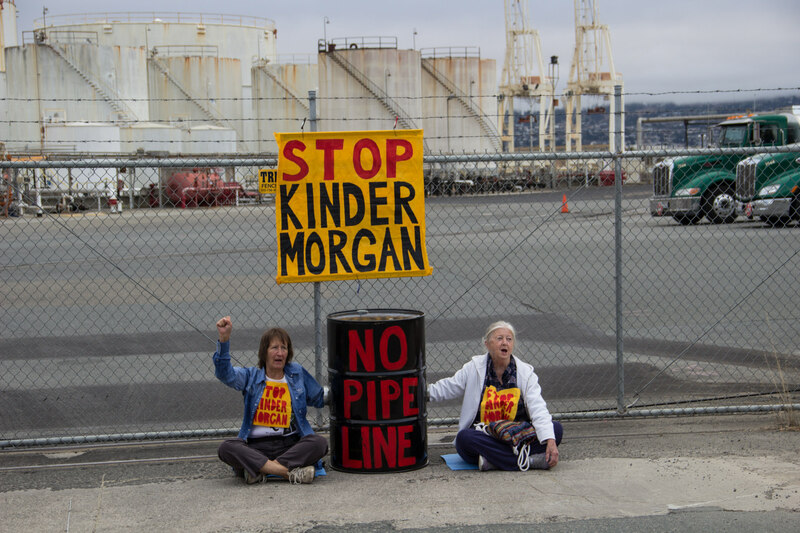 Indigenous-allied protestors block the entrance to an oil facility related to the Kinder-Morgan oil pipeline in Alberta. Some would argue that the criteria by which propositions are judged to be true or false are worthy of debate, rather than the cavalier dismissal of Trumpists. With criteria in place (even if only by convention), at least we know what we are arguing about, as these criteria (even if contested) offer a starting point for critical scrutiny. And this, I maintain, is a task worth performing, especially in the age of pluralism when multiple perspectives constitute our public stage. In addition to debasing philosophers, it seems that Fuller reserves a special place in purgatory for Socrates (and Plato) for labeling the rhetorical expertise of the sophists—“the local post-truth merchants in fourth century BC Athens”—negatively. (21) It becomes obvious that Fuller is “on their side” and that the presumed debate over truth and its practices is in fact nothing but “whether its access should be free or restricted.” (Ibid.) In this neoliberal reading, it is all about money: are sophists evil because they charge for their expertise? Is Socrates a martyr and saint because he refused payment for his teaching? Fuller admits, “Indeed, I would have us see both Plato and the Sophists as post-truth merchants, concerned more with the mix of chance and skill in the construction of truth than with the truth as such.” (Ibid.) One wonders not only if Plato receives fair treatment (reminiscent of Popper’s denigration of Plato as supporting totalitarian regimes, while sparing Socrates as a promoter of democracy), but whether calling all parties to a dispute “post-truth merchants” obliterates relevant differences. In other words, have we indeed lost the desire to find the truth, even if it can never be the whole truth and nothing but the truth? One wonders how far this goes: political discourse without any claim to truth conditions would become nothing but a marketing campaign where money and power dictate the acceptance of the message. Perhaps the intended message here is that contemporary cynicism towards political discourse has its roots in ancient Greece. Regardless, one should worry that such cynicism indirectly sanctions fascism. Can the poor and marginalized in our society afford this kind of cynicism? For them, unlike their privileged counterparts in the political arena, claims about discrimination and exploitation, about unfair treatment and barriers to voting are true and evidence based; they are not rhetorical flourishes by clever interlocutors. Fuller could be channeling here twentieth-century game theory and its application in the political arena, or the notion offered by Lyotard when describing the minimal contribution we can make to scientific knowledge (where we cannot change the rules of the game but perhaps find a novel “move” to make). Indeed, if politics is deemed a game of chance, then anything goes, and it really should not matter if an incompetent candidate like Trump ends up winning the American presidency. But is it really a question of skill and chance? Or, as some political philosophers would argue, is it not a question of the best means by which to bring to fruition the best results for the general wellbeing of a community? The point of suggesting the figure of a philosopher-king, to be sure, was not his rhetorical skills in this conjunction, but instead the deep commitment to rule justly, to think critically about policies, and to treat constituents with respect and fairness. Plato’s Republic, however criticized, was supposed to be about justice, not about expediency; it is an exploration of the rule of law and wisdom, not a manual about manipulation. If the recent presidential election in the US taught us anything, it’s that we should be wary of political gamesmanship and focus on experience and knowledge, vision and wisdom. Fuller would have none of this, either. It seems that there is virtue in being a “post-truther,” someone who can easily switch between knowledge games, unlike the “truther” whose aim is to “strengthen the distinction by making it harder to switch between knowledge games.” (34) In the post-truth realm, then, knowledge claims are lumped into games that can be played at will, that can be substituted when convenient, without a hint of the danger such capricious game-switching might engender. It’s one thing to challenge a scientific hypothesis about astronomy because the evidence is still unclear (as Stephen Hawking has done in regard to Black Holes) and quite another to compare it to astrology (and give equal hearings to horoscope and Tarot card readers as to physicists). Though we are far from the Demarcation Problem (between science and pseudo-science) of the last century, this does not mean that there is no difference at all between different discourses and their empirical bases (or that the problem itself isn’t worthy of reconsideration in the age of Fuller and Trump). On the contrary, it’s because we assume difference between discourses (gray as they may be) that we can move on to figure out on what basis our claims can and should rest. The danger, as we see in the political logic of the Trump administration, is that friends become foes (European Union) and foes are admired (North Korea and Russia). Game-switching in this context can lead to a nuclear war. In Fuller’s hands, though, something else is at work. Speaking of contemporary political circumstances in the UK and the US, he says: “After all, the people who tend to be demonized as ‘post-truth’ – from Brexiteers to Trumpists – have largely managed to outflank the experts at their own game, even if they have yet to succeed in dominating the entire field of play.” (39) Fuller’s celebratory tone here may either bring a slight warning in the use of “yet” before the success “in dominating the entire field of play” or a prediction that indeed this is what is about to happen soon enough. By now one should be terrified. This is a strong endorsement of lying as a matter of course, as a way to distract from the details (and empirical bases) of one “knowledge game”—because it may not be to one’s ideological liking–in favor of another that might be deemed more suitable (for financial or other purposes). The political stakes here are too high to ignore, especially because there are good reasons why “certain parties are advantaged over others” (say, climate scientists “relative to” climate deniers who have no scientific background or expertise). One wonders what it means to talk about “alternative facts” and “alternative science” in this context: is it a means of obfuscation? Is it yet another license granted by the “social constructivist position” not to acknowledge the legal liability of cigarette companies for the addictive power of nicotine? Or the pollution of water sources in Flint, Michigan? What Is the Mark of an Open Society? To be clear, Fuller not only asks for the “right to be wrong,” but also for the legitimacy of the claim that “people who are free to speak their minds as individuals are most likely to reach the truth collectively.” The first plea is reasonable enough, as humans are fallible (yes, Popper here), and the history of ideas has proven that killing heretics is counterproductive (and immoral). If the Brexit/Trump post-truth age would only usher a greater encouragement for speculation or conjectures (Popper again), then Fuller’s book would be well-placed in the pantheon of intellectual pluralism; but if this endorsement obliterates the silly from the informed conjecture, then we are in trouble and the ensuing cacophony will turn us all deaf. The second claim is at best supported by the likes of James Surowiecki (2004) who has argued that no matter how uninformed a crowd of people is, collectively it can guess the correct weight of a cow on stage (his TED talk). As folk wisdom, this is charming; as public policy, this is dangerous. Would you like a random group of people deciding how to store nuclear waste, and where? Would you subject yourself to the judgment of just any collection of people to decide on taking out your appendix or performing triple-bypass surgery? When we turn to Trump, his supporters certainly like that he speaks his mind, just as Fuller says individuals should be granted the right to speak their minds (even if in error). But speaking one’s mind can also be a proxy for saying whatever, without filters, without critical thinking, or without thinking at all (let alone consulting experts whose very existence seems to upset Fuller). Since when did “speaking your mind” turn into scientific discourse? It’s one thing to encourage dissent and offer reasoned doubt and explore second opinions (as health care professionals and insurers expect), but it’s quite another to share your feelings and demand that they count as scientific authority. Finally, even if we endorse the view that we “collectively” reach the truth, should we not ask: by what criteria? according to what procedure? under what guidelines? Herd mentality, as Nietzsche already warned us, is problematic at best and immoral at worst. Trump rallies harken back to the fascist ones we recall from Europe prior to and during WWII. Few today would entrust the collective judgment of those enthusiasts of the Thirties to carry the day. Unlike Fuller’s sanguine posture, I shudder at the possibility that “in a post-truth world, this general line of thought is not merely endorsed but intensified.” This is neither because I worship experts and scorn folk knowledge nor because I have low regard for individuals and their (potentially informative) opinions. Just as we warn our students that simply having an opinion is not enough, that they need to substantiate it, offer data or logical evidence for it, and even know its origins and who promoted it before they made it their own, so I worry about uninformed (even if well-meaning) individuals (and presidents) whose gut will dictate public policy. This way of unreasonably empowering individuals is dangerous for their own well-being (no paternalism here, just common sense) as well as for the community at large (too many untrained cooks will definitely spoil the broth). For those who doubt my concern, Trump offers ample evidence: trade wars with allies and foes that cost domestic jobs (when promising to bring jobs home), nuclear-war threats that resemble a game of chicken (as if no president before him ever faced such an option), and completely putting into disarray public policy procedures from immigration regulations to the relaxation of emission controls (that ignores the history of these policies and their failures). 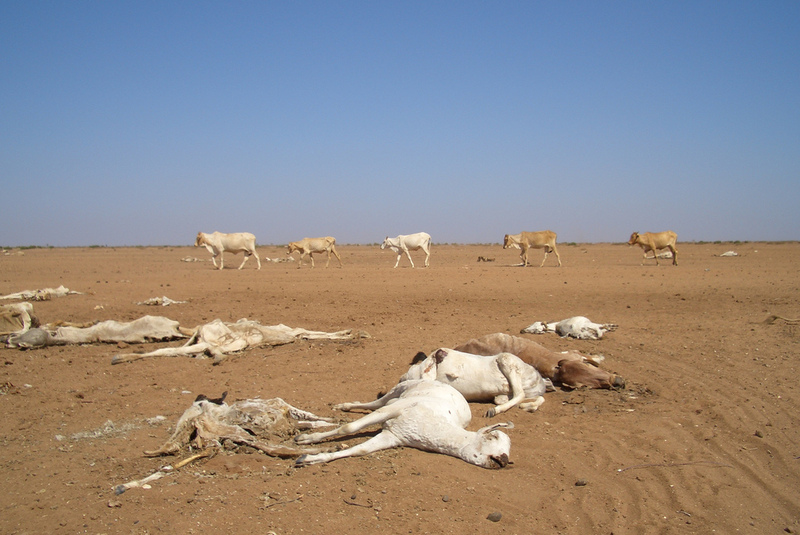 Drought and suffering in Arbajahan, Kenya in 2006. There is something appealing, even seductive, in the provocation to doubt the truth as rendered by the (scientific) establishment, even as we worry about sowing the seeds of falsehood in the political domain. The history of science is the story of authoritative theories debunked, cherished ideas proven wrong, and claims of certainty falsified. Why not, then, jump on the “post-truth” wagon? Would we not unleash the collective imagination to improve our knowledge and the future of humanity? One of the lessons of postmodernism (at least as told by Lyotard) is that “post-“ does not mean “after,” but rather, “concurrently,” as another way of thinking all along: just because something is labeled “post-“, as in the case of postsecularism, it doesn’t mean that one way of thinking or practicing has replaced another; it has only displaced it, and both alternatives are still there in broad daylight. Under the rubric of postsecularism, for example, we find religious practices thriving (80% of Americans believe in God, according to a 2018 Pew Research survey), while the number of unaffiliated, atheists, and agnostics is on the rise. Religionists and secularists live side by side, as they always have, more or less agonistically. In the case of “post-truth,” it seems that one must choose between one orientation or another, or at least for Fuller, who claims to prefer the “post-truth world” to the allegedly hierarchical and submissive world of “truth,” where the dominant establishment shoves its truths down the throats of ignorant and repressed individuals. If post-truth meant, like postsecularism, the realization that truth and provisional or putative truth coexist and are continuously being re-examined, then no conflict would be at play. If Trump’s claims were juxtaposed to those of experts in their respective domains, we would have a lively, and hopefully intelligent, debate. False claims would be debunked, reasonable doubts could be raised, and legitimate concerns might be addressed. But Trump doesn’t consult anyone except his (post-truth) gut, and that is troublesome. Science is what results once a scientific paper is published, not what made it possible for the paper to be published, since the actual conduct of research is always open to multiple countervailing interpretations. What passes for the ‘truth’ in science is an institutionalised contingency, which if scientists are doing their job will be eventually overturned and replaced, not least because that may be the only way they can get ahead in their fields. Consensus is not a natural state in science but one that requires manufacture and maintenance, the work of which is easily underestimated because most of it occurs offstage in the peer review process. In that sense, then, Fuller agrees that the positive lessons STS wished for the practice of the scientific community may have inadvertently found their way into a post-truth world that may abuse or exploit them in unintended ways. That is, something like “consensus” is challenged by STS because of how the scientific community pretends to get there knowing as it does that no such thing can ever be reached and when reached it may have been reached for the wrong reasons (leadership pressure, pharmaceutical funding of conferences and journals). But this can also go too far. Just because consensus is difficult to reach (it doesn’t mean unanimity) and is susceptible to corruption or bias doesn’t mean that anything goes. Some experimental results are more acceptable than others and some data are more informative than others, and the struggle for agreement may take its political toll on the scientific community, but this need not result in silly ideas about cigarettes being good for our health or that obesity should be encouraged from early childhood. Here, we are not only afforded a moralizing sermon about (and it must be said, from) the academic privileged position, from whose heights all other positions are dismissed as anti-intellectual populism, but we are also entreated to consider the rantings of the know-nothings of the post-truth world as the “growing pains of a maturing democratic intelligence.” Only an apologist would characterize the Trump administration as mature, democratic, or intelligent. Where’s the evidence? What would possibly warrant such generosity? This, too, is a logical stretch: is disrespect for the authority of the establishment the same as, or does it logically lead to, the “conceptual” openness to previously “ignored people and their ideas”? This is not a claim on behalf of the disenfranchised. Perhaps their ideas were simply bad or outright racist or misogynist (as we see with Trump). Perhaps they were ignored because there was hope that they would change for the better, become more enlightened, not act on their white supremacist prejudices. Should we have “encouraged” explicit anti-Semitism while we were at it? But the conclusion that “Perhaps this is why some people still prefer to play the game of truth, no matter who sets the rules” (130) does not follow. Those who “play the game of truth” are always vigilant about falsehoods and post-truth claims, and to say that they are simply dupes of those in power is both incorrect and dismissive. On the contrary: Socrates was searching for the truth and fought with the sophists, as Popper fought with the logical positivists and the Kuhnians, and as scientists today are searching for the truth and continue to fight superstitions and debunked pseudoscience about vaccination causing autism in young kids. If post-truth is like postsecularism, scientific and political discourses can inform each other. When power-plays by ignoramus leaders like Trump are obvious, they could shed light on less obvious cases of big pharma leaders or those in charge of the EPA today. In these contexts, inconvenient facts and truths should prevail and the gamesmanship of post-truthers should be exposed for what motivates it. * Special thanks to Dr. Denise Davis of Brown University, whose contribution to my critical thinking about this topic has been profound. Michael Bowker (2003), Fatal Deception: The Untold Story of Asbestos. New York: Rodale. Robert Darnton, “The Greatest Show on Earth,” New York Review of Books Vo. LXV, No. 11 6/28/18, pp. 68-72. Al Gore (2006), An Inconvenient Truth: The Planetary Emergency of Global Warming and What Can Be Done About It. New York: Rodale. Richard Hofstadter (1962), Anti-Intellectualism in American Life. New York: Vintage Books. Jean- François Lyotard (1984), The Postmodern Condition: A Report on Knowledge. Translated by Geoff Bennington and Brian Massumi. Minneapolis: University of Minnesota Press. Robert K. Merton (1973/1942), “The Normative Structure of Science,” The Sociology of Science: Theoretical and Empirical Investigations. Chicago and London: The University of Chicago Press, pp. 267-278. Hans E. Plesser, “Reproducibility vs. Replicability: A Brief History of Confused Terminology,” Frontiers in Neuroinformatics, 2017; 11: 76; online: 1/18/18. Robert N. Proctor (1995), Cancer Wars: How Politics Shapes What We Know and Don’t Know About Cancer. New York: Basic Books. James Surowiecki (2004), The Wisdom of Crowds. New York: Anchor Books. Moore, Alfred. “Transparency and the Dynamics of Trust and Distrust.” Social Epistemology Review and Reply Collective 7, no. 4 (2018), 26-32. Stephen John. “Epistemic Trust and the Ethics of Science Communication: Against Transparency, Openness, Transparency, and Honesty.” Social Epistemology 32, no. 2 (2018): 75-87. 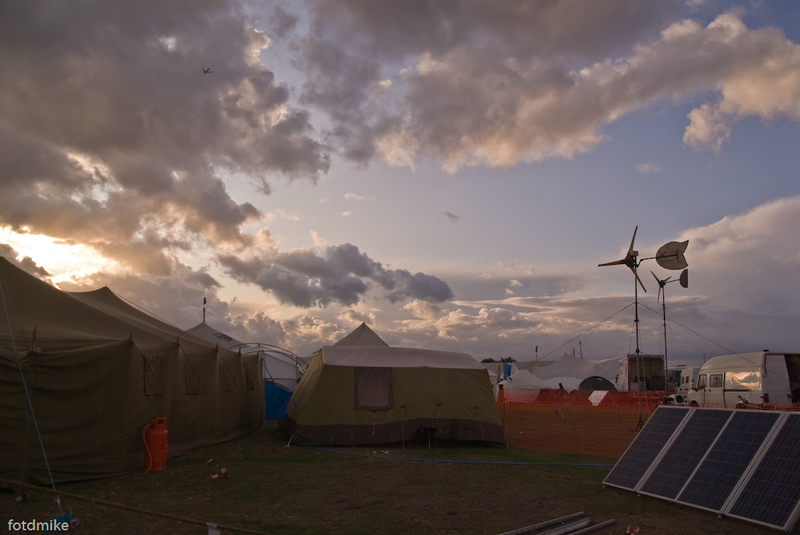 A climate monitoring camp at Blackheath in London, UK, on the evening of 28 August 2009. In 1961 the Journal of the American Medical Association published a survey suggesting that 90% of doctors who diagnosed cancer in their patients would choose not to tell them (Oken 1961). The doctors in the study gave a variety of reasons, including (unsubstantiated) fears that patients might commit suicide, and feelings of futility about the prospects of treatment. Among other things, this case stands as a reminder that, while it is a commonplace that lay people often don’t trust experts, at least as important is that experts often don’t trust lay people. I was put in mind of this stunning example of communicative paternalism while reading Stephen John’s recent paper, “Epistemic trust and the ethics of science communication: against transparency, openness, sincerity and honesty.” John makes a case against a presumption of openness in science communication that – although his argument is more subtle – reads at times like a rational reconstruction of a doctor-patient relationship from the 1950s. What is disquieting is that he makes a case that is, at first glance, quite persuasive. When lay people choose to trust what experts tell them, John argues, they are (or their behaviour can usefully be modelled as though they are) making two implicit judgments. The first, and least controversial, is that ‘if some claim meets scientific epistemic standards for proper acceptance, then [they] should accept that claim’ (John 2018, 77). He calls this the ‘epistemological premise’. Secondly, however, the lay person needs to be convinced that the ‘[i]nstitutional structures are such that the best explanation for the factual content of some claim (made by a scientist, or group, or subject to some consensus) is that this claim meets scientific “epistemic standards” for proper acceptance’ (John 2018, 77). He calls this the ‘sociological premise.’ He suggests, rightly, I think, that this is the premise in dispute in many contemporary cases of distrust in science. Climate change sceptics (if that is the right word) typically do not doubt that we should accept claims that meet scientific epistemic standards; rather, they doubt that the ‘socio-epistemic institutions’ that produce scientific claims about climate change are in fact working as they should (John 2018, 77). As Phil Jones, then director of the Climate Research Unit, later admitted, the emails “do not read well.” However, neither, on closer inspection, did they show anything particularly out of the ordinary, and certainly nothing like corruption or fraud. Most of the controversy, it seemed, came from lay people misinterpreting the backstage conversation of scientists in light of a misleading image of what good science is supposed to look like. This is the central problem identified in John’s paper. Many people, he suggests, evaluate the ‘sociological premise’ in light of a ‘folk philosophy of science’ that is worlds away from the reality of scientific practice. For this reason, revealing to a non-expert public how the sausage is made can lead not to understanding, ‘but to greater confusion’ (John 2017, 82). And worse, as he suggests happened in the climate-gate case, it might lead people to reject well-founded scientific claims in the mistaken belief that they did not meet proper epistemic standards within the relevant epistemic community. Transparency might thus lead to unwarranted distrust. In a perfect world we might educate everybody in the theory and practice of modern science. In the absence of such a world, however, scientists need to play along with the folk belief in order to get lay audiences to adopt those claims that are in their epistemic best interests. Thus, John argues, scientists explaining themselves to lay publics should seek to ‘well-lead’ (the benevolent counterpart to mislead) their audience. That is, they should try to bring the lay person to hold the most epistemically sound beliefs, even if this means masking uncertainties, glossing complications, pretending more precision than you know to be the case, and so on. Although John presents his argument as something close to heresy, his model of ‘well-leading’ speech describes a common enough practice. Economists, for instance, face a similar temptation to mask uncertainties and gloss complications and counter-arguments when engaging with political leaders and wider publics on issues such as the benefits and disadvantages of free trade policies. As a professional economist, as an academic economist, day in and day out I see in seminars and papers a great variety of views on what the effects of trade agreements are, the ambiguous effects of deep integration. Inside economics, you see that there is not a single view on globalization. But the moment that gets translated into the political domain, economists have this view that you should never provide ammunition to the barbarians. So the barbarians are these people who don’t understand the notion of comparative advantage and the gains from trade, and you don’t want… any of these caveats, any of these uncertainties, to be reflected in the public debate. (Rodrik 2017, at c.30-34 mins). ‘Well-leading’ speech seems to be the default mode for experts talking to lay audiences. A crucial feature of ‘well-leading’ speech is that it has no chance of working if you tell the audience what you are up to. It is a strategy that cannot be openly avowed without undermining itself, and thus relies on a degree of deception. Furthermore, the well-leading strategy only works if the audience already trusts the experts in question, and is unlikely to help – and is likely to actively harm expert credibility – in context where experts are already under suspicion and scrutiny. John thus admits that this strategy can backfire if the audience is made aware of some of the hidden complications, and worse, as was case of in climate-gate, if it seems the experts actively sought to evade demands for transparency and accountability (John 2017, 82). This puts experts in a bind: be ‘open and honest’ and risk being misunderstood; or engage in ‘well-leading’ speech and risk being exposed – and then misunderstood! I’m not so sure the dilemma is actually as stark as all that, but John identifies a real and important problem: When an audience misunderstands what the proper conduct of some activity consists in, then revealing information about the conduct of the activity can lead them to misjudge its quality. Furthermore, to the extent that experts have to adjust their conduct to conform to what the audience thinks it should look like, revealing information about the process can undermine the quality of the outcomes. One economist has thus argued that accountability works best when it is based on information about outcomes, and that information about process ‘can have detrimental effects’ (Prat 2005: 863). By way of example, she compares two ways of monitoring fund managers. One way is to look at the yearly returns. The other way (exemplified, in her case, by pension funds), involves communicating directly with fund managers and demanding that they ‘explain their investment strategy’ (Prat 2005, 870). The latter strategy, she claims, produces worse outcomes than those monitored only by their results, because the agents have an incentive to act in a way that conforms to what the principal regards as appropriate rather than what the agent regards as the most effective action. The point here is that when experts are held accountable – at the level of process – by those without the relevant expertise, their judgment is effectively displaced by that of their audience. To put it another way, if you want the benefit of expert judgment, you have to forgo the urge to look too closely at what they are doing. Onora O’Neill makes a similar point: ‘Plants don’t flourish when we pull them up too often to check how their roots are growing: political, institutional and professional life too may not flourish if we constantly uproot it to demonstrate that everything is transparent and trustworthy’ (O’Neill 2002: 19). 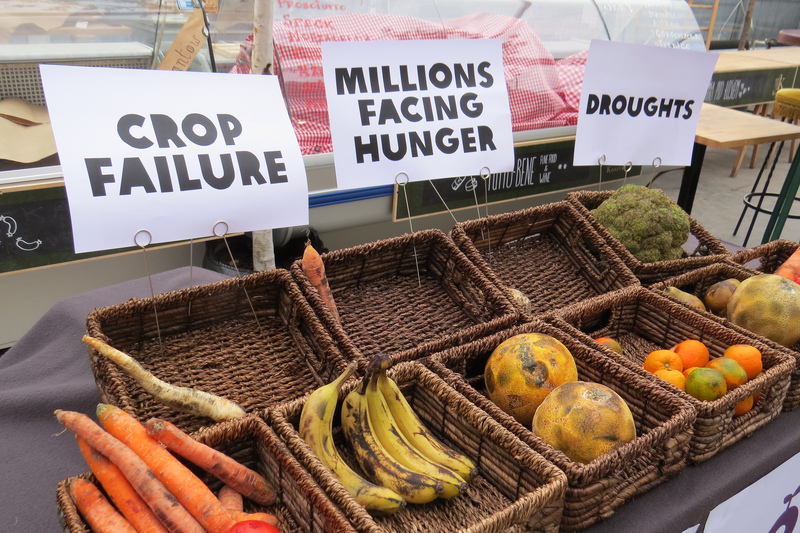 Of course, part of the problem in the climate case is that the outcomes are also subject to expert interpretation. When evaluating a fund manager you can select good people, leave them alone, and check that they hit their targets. But how do you evaluate a claim about likely sea-level rise over the next century? If radical change is needed now to avert such catastrophic effects, then the point is precisely not to wait and see if they are right before we act. This means that both the ‘select and trust’ and the ‘distrust and monitor’ models of accountability are problematic, and we are back with the problem: How can accountability work when you don’t know enough about the activity in question to know if it’s being done right? How are we supposed to hold experts accountable in ways that don’t undermine the very point of relying on experts? The idea that communicative accountability to lay people can only diminish the quality either of warranted trust (John’s argument) or the quality of outcomes (Prat’s argument) presumes that expert knowledge is a finished product, so to speak. After all, if experts have already done their due diligence and could not get a better answer, then outsiders have nothing epistemically meaningful to add. But if expert knowledge is not a finished product, then demands for accountability from outsiders to the expert community can, in principle, have some epistemic value. Consider the case of HIV-AIDS research and the role of activists in challenging expert ideas of what constituted ‘good science’ in conduct of clinical trials. In this engagement they ‘were not rejecting medical science,’ but were rather “denouncing some variety of scientific practice … as not conducive to medical progress and the health and welfare of their constituency” (Epstein 1996: 2). It is at least possible that the process of engaging with and responding to criticism can lead to learning on both sides and the production, ultimately, of better science. What matters is not whether the critics begin with an accurate view of the scientific process; rather, what matters is how the process of criticism and response is carried out. 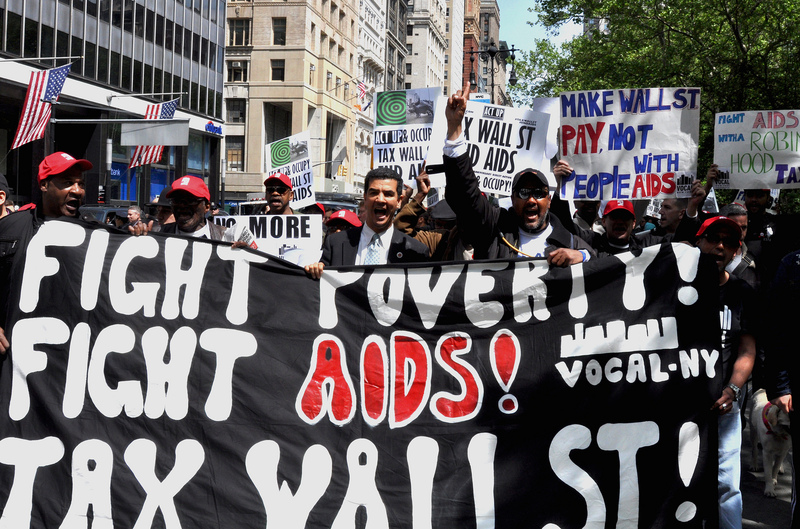 On 25 April 2012, the AIDS Coalition to Unleash Power (ACT UP) celebrated its 25th anniversary with a protest march through Manhattan’s financial district. The march, held in partnership with Occupy Wall Street, included about 2000 people. This leads me to an important issue that John doesn’t address. One of the most attractive features of his approach is that he moves beyond the limited examples, prevalent in the social epistemology literature, of one lay person evaluating the testimony of one expert, or perhaps two competing experts. He rightly observes that experts speak for collectives and thus that we are implicitly judging the functioning of institutions when we judge expert testimony. But he misses an analogous sociological problem on the side of the lay person. We rarely judge alone. Rather, we use ‘trust proxies’ (MacKenzie and Warren 2012). I may not know enough to know whether those climate scientists were not doing good science, but others can do that work for me. I might trust my representatives, who have on my behalf conducted open investigations and inquiries. They are not climate scientists, but they have given the matter the kind of sustained attention that I have not. I might trust particular media outlets to do this work. I might trust social movements. To go back to the AIDS case, ACT-UP functioned for many as a trust proxy of this sort, with the skills and resources to do this sort of monitoring, developing competence but with interests more closely aligned with the wider community affected by the issue. Or I might even trust the judgments of groups of citizens randomly selected and given an opportunity to more deeply engage with the issues for just this purpose (see Gastil, Richards, and Knobloch 2014). This hardly, on its own, solves the problem of lay judgment of experts. Indeed, it would seem to place it at one remove and introduce a layer of intermediaries. But it is worth attending to these sorts of judgments for at least two reasons. One is because, in a descriptive sense, this is what actually seems to be going on with respect to expert-lay judgment. People aren’t directly judging the claims of climate scientists, and they’re not even judging the functioning of scientific institutions; they’re simply taking cues from their own trusted intermediaries. The second is that the problems and pathologies of expert-lay communication are, in large part, problems with their roots in failures of intermediary institutions and practices. To put it another way, I suspect that a large part of John’s (legitimate) concern about transparency is at root a concern about unmediated lay judgment of experts. After all, in the climate-gate case, we are dealing with lay people effectively looking over the shoulders of the scientists as they write their emails. One might have similar concerns about video monitoring of meetings: they seem to show you what is going on but in fact are likely to mislead you because you don’t really know what you’re looking at (Licht and Naurin 2015). You lack the context and understanding of the practice that can be provided by observers, who need not themselves be experts, but who need to know enough about the practice to tell the difference between good and bad conduct. The same idea can apply to transparency of reasoning, involving the demand that actors give a public account of their actions. While the demand that authorities explain how and why they reached their judgments seems to fall victim to the problem of lay misunderstanding, it also offers a way out of it. After all, in John’s own telling of the case, he explains in a convincing way why the first impression (that the ‘sociological premise’ has not been fulfilled) is misleading. The initial scandal initiated a process of scrutiny in which some non-experts (such as the political representatives organising the parliamentary inquiry) engaged in closer scrutiny of the expert practice in question. Practical lay judgment of experts does not require that lay people become experts (as Lane 2014 and Moore 2017 have argued), but it does require a lot more engagement than the average citizen would either want or have time for. The point here is that most citizens still don’t know enough to properly evaluate the sociological premise and thus properly interpret information they receive about the conduct of scientists. But they can (and do) rely on proxies to do the work of monitoring and scrutinizing experts. Where does this leave us? John is right to say that what matters is not the generation of trust per se, but warranted trust, or an alignment of trust and trustworthiness. What I think he misses is that distrust is crucial to the possible way in which transparency can (potentially) lead to trustworthiness. Trust and distrust, on this view, are in a dynamic relation: Distrust motivates scrutiny and the creation of institutional safeguards that make trustworthy conduct more likely. Something like this case for transparency was made by Jeremy Bentham (see Bruno 2017). John rightly points to the danger that popular misunderstanding can lead to a backfire in the transition from ‘scrutiny’ to ‘better behaviour.’ But he responds by asserting a model of ‘well-leading’ speech that seems to assume that lay people already trust experts, and he thus leaves unanswered the crucial questions raised by his central example: What are we to do when we begin from distrust and suspicion? How we might build trustworthiness out of distrust? Bruno, Jonathan. “Vigilance and Confidence: Jeremy Bentham, Publicity, and the Dialectic of Trust and Distrust.” American Political Science Review, 111, no. 2 (2017) pp. 295-307. Epstein, S. Impure Science: AIDS, Activism and the Politics of Knowledge. Berkeley and Los Angeles, CA: University of California Press, 1996. Gastil, J., Richards, R. C., & Knobloch, K. R. “Vicarious deliberation: How the Oregon Citizens’ Initiative Review influenced deliberation in mass elections.” International Journal of Communication, 8 (2014), 62–89. John, Stephen. “Epistemic trust and the ethics of science communication: against transparency, openness, sincerity and honesty.” Social Epistemology: A Journal of Knowledge, Culture and Policy 32, no. 2 (2017) 75-87. Lane, Melissa. “When the Experts are Uncertain: Scientific Knowledge and the Ethics of Democratic Judgment.” Episteme 11, no. 1 (2014) 97-118. Licht, Jenny de Fine, and Daniel Naurin. “Open Decision-Making Procedures and Public Legitimacy: An Inventory of Causal Mechanisms”. In Jon Elster (ed), Secrecy and Publicity in Votes and Debates. Cambridge: Cambridge University Press (2015), 131-151. MacKenzie, Michael, and Mark E. Warren, “Two Trust-Based Uses of Minipublics.” In John Parkinson and Jane Mansbridge (eds.) Deliberative Systems. Cambridge: Cambridge University Press (2012), 95-124. Moore, Alfred. Critical Elitism: Deliberation, Democracy, and the Politics of Expertise. Cambridge: Cambridge University Press, 2017. Oken, Donald. “What to Tell Cancer Patients: A Study of Medical Attitudes.” Journal of the American Medical Association 175, no. 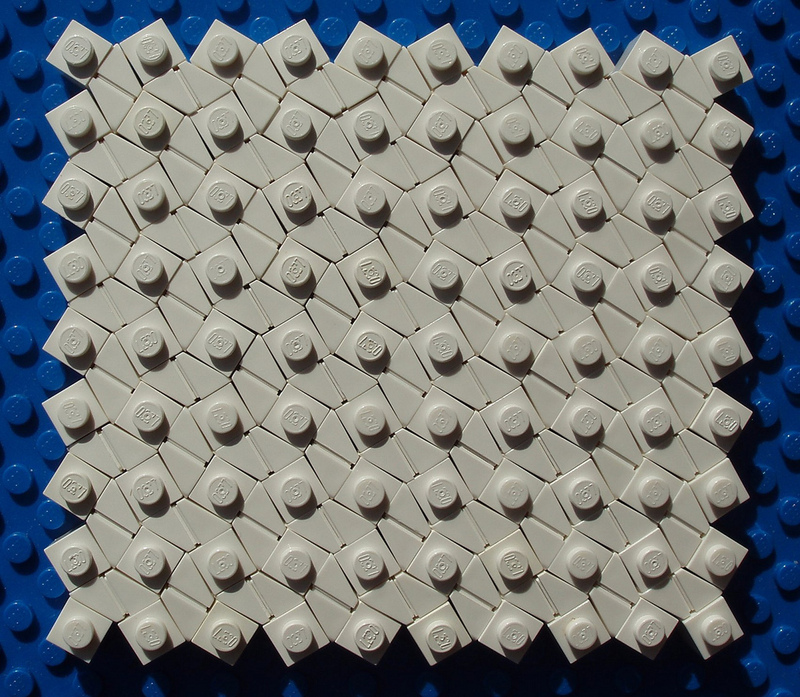 13 (1961) 1120-1128. O’Neill, Onora. A Question of Trust. Cambridge: Cambridge University Press, 2002. Prat, Andrea. The Wrong Kind of Transparency. The American Economic Review 95, no. 3 (2005), 862-877. One of eight separate investigations was by the House of Commons select committee on Science and Technology (http://www.publications.parliament.uk/pa/cm200910/cmselect/cmsctech/387/38702.htm). Rolin, Kristina. “Collective Epistemic Responsibility: A Reply to Chris Dragos.” Social Epistemology Review and Reply Collective 5, no. 11 (2016): 7-11. Wagenknecht, Susann. “Facing the Incompleteness of Epistemic Trust: Managing Dependence in Scientific Practice.” Social Epistemology 29, no. 2 (2015): 160-184. Dragos, Chris. “Which Groups Have Scientific Knowledge? Wray Vs. Rolin.” Social Epistemology 30, no. 5-6 (2016): 611-623. Tossut, Sylvia. “Which Groups Have Scientific Knowledge? 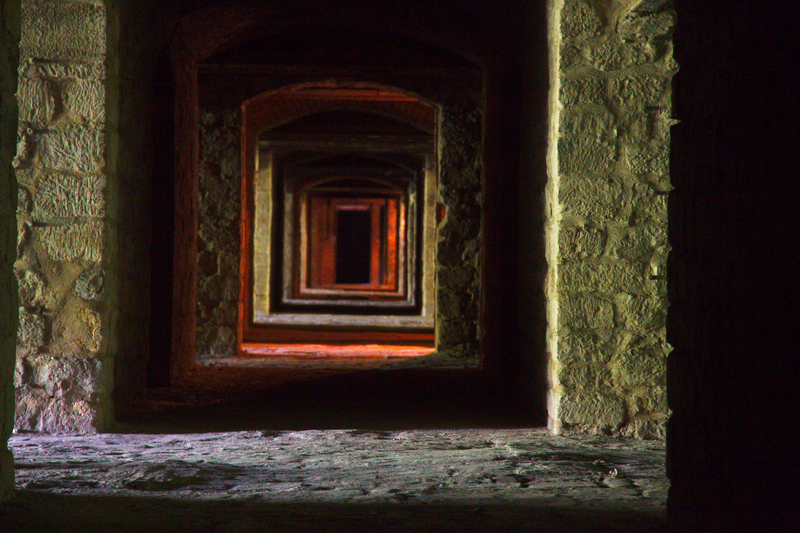 A Reply to Chris Dragos.” Social Epistemology Review and Reply Collective 5, no. 7 (2016): 18-21. Dragos, Chris. “Justified Group Belief in Science.” Social Epistemology Review and Reply Collective 5, no. 9 (2016): 6-12. West, Mark D. “Organic Solidarity, Science and Group Knowledge.” Social Epistemology Review and Reply Collective 5, no. 10 (2016): 1-11. I wish to thank Chris Dragos, Silvia Tossut, Brad Wray, and Mark D. West for discussing my work. This discussion gives me an opportunity to clarify the view I defended in “Science as Collective Knowledge.” My main thesis was that scientific communities are capable of having collective knowledge. By collective knowledge, I meant “justified true belief or acceptance held or arrived at by groups as plural subjects.” I assumed that scientific communities can have, if not collective beliefs, at least collective acceptances. I assumed also that “belief or acceptance has to be justified in some sense to deserve to be called scientific.” As Tossut (2016) points out, I did not claim that epistemic justification is a sufficient condition for knowledge. While epistemic responsibility is not the only conception of epistemic justification, I believe that it captures important aspects of epistemic justification. Williams argues that “by behaving in an epistemically responsible way, I increase the likelihood that the beliefs I form are true.” I agree with Williams, and I wish to add that epistemic responsibility is needed also to make justice to a moral dimension in our knowledge-seeking practices. By being epistemically responsible towards other human beings, I show respect to them especially in their capacity as knowers. This is morally valuable even when my behaving in an epistemically responsible way does not lead me to have true beliefs. Williams emphasizes that epistemic responsibility alone is not sufficient for knowledge; yet, he thinks that it is required for knowledge. I argue that epistemic responsibility is required, if not for all knowledge, at least for scientific knowledge. Both individual scientists and research groups are expected to be epistemically responsible for their knowledge claims to particular scientific communities. What counts as sufficient evidence and what assumptions they are allowed to take for granted, depends on what their communities are willing to accept without further inquiries or challenges. Even though some epistemic values may be shared by all scientific communities, the standards of evidence can vary from one scientific community to another. While the standards are set by scientific communities, they are not beyond criticism. Standards may be criticized and transformed in reference to other standards, goals, and values held temporarily constant. As Heidi Grasswick argues, also scientific communities, and not only individual scientists, are sometimes expected to be epistemically responsible for their knowledge claims to lay communities. One advantage in my account of collective scientific knowledge is that it enables me to analyse what such a responsibility involves. Given my account, a scientific community as a whole is epistemically responsible to other communities when community members are jointly committed to be epistemically responsible to other communities. In the actual practice of science, this may mean that at least one member of the community is epistemically responsible on behalf of the whole community. Given this interpretation of collective epistemic responsibility, individual scientists are not burdened with more epistemic duties than they can reasonably be expected to carry out. When scientific communities are faced with challenges from lay communities, they can be epistemically responsible by distributing their epistemic duties among their members so that some community members engage some critics and some others some other critics. J-Auto: The possessor or proper subject of any knowledge that p must be the possessor or proper subject of all justifiers. J-Allo: The possessor or proper subject of any knowledge that p need not be the possessor or proper subject of all justifiers. In response to this criticism, I suggest that J-Auto is analyzed into two claims. One claim is that epistemic justification is a necessary condition for knowledge. Another claim is that for an agent to be epistemically justified in believing or accepting that p, the agent must be the possessor or proper subject of all justifiers required to defend p. While I have assumed the first claim, I have not assumed the second one. My analysis of collective scientific knowledge does not rely on the second claim because I do not claim that epistemic responsibility is the only conception of epistemic justification. I claim merely that it is a relevant conception of epistemic justification when we aim to understand science as a social practice of knowledge-seeking. For an agent to be epistemically responsible in believing or accepting that p, the agent must be capable of either providing sufficient evidence in support of p or defending p when it is challenged. This claim may look like the principle of autojustification but it is a different claim. It follows that my analysis of collective scientific knowledge is compatible with the view that there is another conception of epistemic justification which belongs to the category of allo-justification. Like Dragos, I welcome attempts to understand the role of trust and testimony in science. Dragos argues also that my analysis of collective scientific knowledge implies the problematic view that research groups cannot have collective knowledge. The reason for this is that for a research group to be epistemically responsible for its knowledge claims, it is necessary that someone in the group is capable of defending the assumptions on which the group has relied. But according to Dragos, this is not possible because research groups have to rely on at least some assumptions that only someone outside the group is in a position to defend. It follows that research groups cannot be epistemically responsible for their knowledge claims because they are not capable of defending all their assumptions on their own. It is always a larger social unit that has to bear epistemic responsibility for scientific knowledge. In response to this criticism, I argue that my analysis of collective scientific knowledge is consistent with the view that research groups can be epistemically responsible for many knowledge claims. As Dragos points out, for a research group to be epistemically responsible for its knowledge claims, it is necessary that the group is capable of defending the assumptions on which it has relied. But unlike Dragos, I think that in many cases this requirement is feasible for research groups. Research groups do not always need to ask someone outside the group to help them address challenges to their assumptions. Sometimes research groups may fail to be epistemically responsible for their knowledge claims because they have unwittingly relied on an assumption which they are not capable of defending. But I do not think that this scenario is as common as Dragos claims it to be. Also, a group is expected to defend an assumption only when the assumption is actually challenged in an appropriate way. In many cases, research groups are not asked to defend all their assumptions because their audiences accept the assumptions without further inquiries. It follows that research groups can be epistemically responsible for many knowledge claims. This conclusion is consistent with the view that there may be some other knowledge claims for which a larger social unit will have to bear epistemic responsibility. In summary, I admit that “Science as Collective Knowledge” may have been too general a title for my 2008 article. But I still hold the view that scientific communities can be epistemically responsible for some knowledge claims. For example, they can be epistemically responsible for their default entitlements by distributing the obligations to defend these assumptions among their members when the assumptions are challenged. If scientific communities can be epistemically responsible for some knowledge claims, then they are candidates for having collective knowledge in at least one sense of the term “collective knowledge.” My analysis of collective knowledge involves the view that epistemic justification can be understood as epistemic responsibility. Dragos, Chris. “Which Groups Have Scientific Knowledge? Wray Vs. Rolin.” Social Epistemology 30, no. 5-6 (2016a): 611–23. Dragos, Chris. “Justified Group Belief in Science.” Social Epistemology Review and Reply Collective 5, no. 9 (2016b): 6–12. Gilbert, Margaret. “Collective Belief and Scientific Change.” In Sociality and Responsibility: New Essays in Plural Subject Theory, 37–49. Lanham, MD: Rowman & Littlefield, 2000. Grasswick, Heidi. “Scientific and Lay Communities: Earning Epistemic Trust through Knowledge Sharing.” Synthese 177, no. 3 (2010): 387–409. Kuhn, Thomas. “Objectivity, Value Judgment, and Theory Choice.” In The Essential Tension: Selected Studies in Scientific Tradition and Change, 320–39. Chicago: The University of Chicago Press, 1977. Longino, Helen. The Fate of Knowledge. Princeton, NJ: Princeton University Press, 2002. Rolin, Kristina. “Gender and Trust in Science.” Hypatia 17, no. 4 (2002): 95–118. Rolin, Kristina. “Science as Collective Knowledge.” Cognitive Systems Research 9 (2008): 115–24. Rolin, Kristina. “Values in Science: The Case of Scientific Collaboration.” Philosophy of Science 82, no. 2 (2015): 157–77. Tossut, Silvia. 2016. “Which Groups Have Scientific Knowledge? A Reply to Chris Dragos.” Social Epistemology Review and Reply Collective 5, no. 7 (2016): 18–21. West, Mark D. “Organic Solidarity, Science and Group Knowledge.” Social Epistemology Review and Reply Collective 5, no. 10 (2016): 1–11. Wray, K. Brad. “Collective Knowledge and Collective Justification.” Social Epistemology Review and Reply Collective 5, no. 8 (2016): 24–27.
. Rolin, “Science as Collective Knowledge,” 116.
. Williams, Problems of Knowledge, 25.
. Rolin, “Science as Collective Knowledge,” 121.
. Williams, Problems of Knowledge, 22.
. Kuhn, The Essential Tension, 321.
. Longino, The Fate of Knowledge, 131.
. Dragos, ”Which Groups Have Scientific Knowledge?,” 615.
. Dragos, ”Justified Group Belief in Science,” 7.
. Dragos, “Which Groups Have Scientific Knowledge?,” 616. Beeby, Laura. 2103. “Review of The Epistemology of Resistance: Gender and Racial Oppression, Epistemic Injustice, and Resistant Imaginations, by José Medina.” Social Epistemology Review and Reply Collective 2 (8): 66-70. Medina, José. 2012a. Hermeneutical injustice and polyphonic contextualism: Social silences and shared hermeneutical responsibilities. Social Epistemology 26 (2): 201-220. Dieleman, Susan. 2012. “Review Essay: ‘Agnotology: The Making and Unmaking of Ignorance’ and ‘Race and Epistemologies of Ignorance.” Social Epistemology Review and Reply Collective. Beeby, Laura. 2012. Reply to José Medina. Social Epistemology Review and Reply Collective 1 (6). Medina, José. 2012b. Reply to Laura Beeby. Social Epistemology Review and Reply Collective 1 (6). Beeby, Laura. 2012. 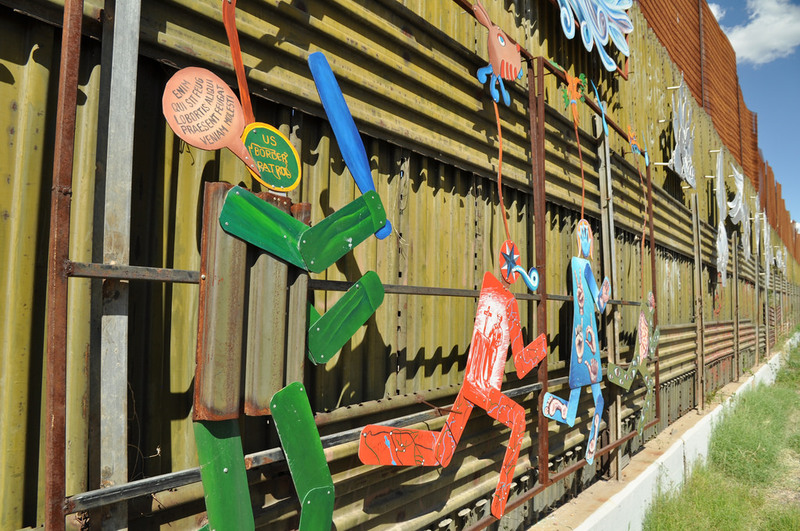 Collective resources and collectivity: A reply to José Medina Social Epistemology Review and Reply Collective 1 (11): 12-15. Fricker, Miranda. 2013. “How is hermeneutical injustice related to ‘white ignorance’? Reply to José Medina’s ‘Hermeneutical Injustice and Polyphonic Contextualism: Social Silences and Shared Hermeneutical Responsibilities’.” Social Epistemology Review and Reply Collective 2 (8): 49-53.